We also accept international orders! Can you make impact without vision? This message explores the power of Vision by showing you why every action leads to impact: negative or positive, and why vision is essential in guaranteeing a positive outcome. This message will set you apart from the crowd. 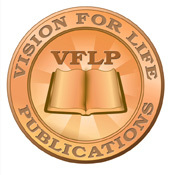 Gain Mastery of the essential Principles of Vision to guarantee a Maximized life. Powerful insights that will absolutely change the way you think for the better. This message is full of timeless principles that will put you ahead. If you deem your future valuable to you, this is a message you must obtain.